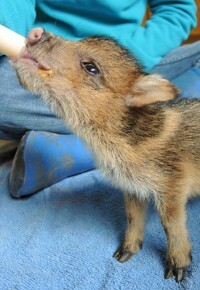 Adorableness. 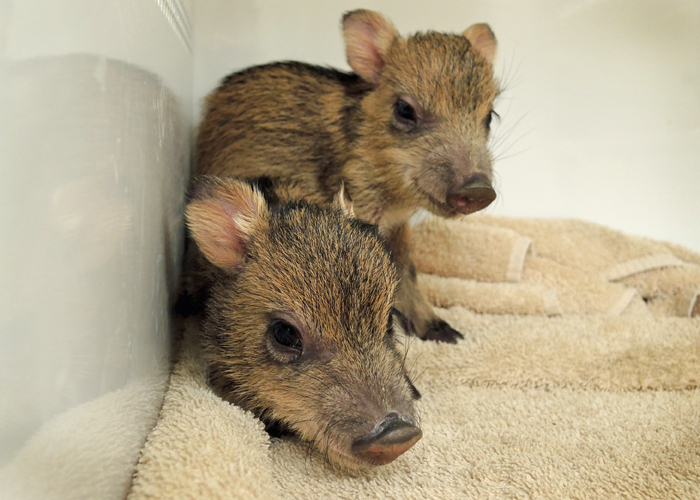 These little "reds” (what baby javelina are often called) arrived with their umbilical cords still attached. They were brand new babies. Both just graduated from the clinic to an indoor/outdoor area where they’ll need to grow up some more before they meet their new family herd. Oh, babies!